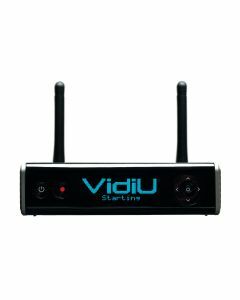 VidiU Go is a cutting-edge HEVC / H.264 live streaming encoder with professional bonded cellular technology. VidiU Go is a cutting-edge HEVC / H.264 live streaming encoder with professional bonded cellular technology. Built on Teradek's venerable Cube HEVC platform, VidiU Go streams to Facebook, YouTube, Twitch, and any other online video platform in pristine 1080p60 video quality.